While traveling for the next few days, I thought I would share the inspiring words of some other fabulous coaches. 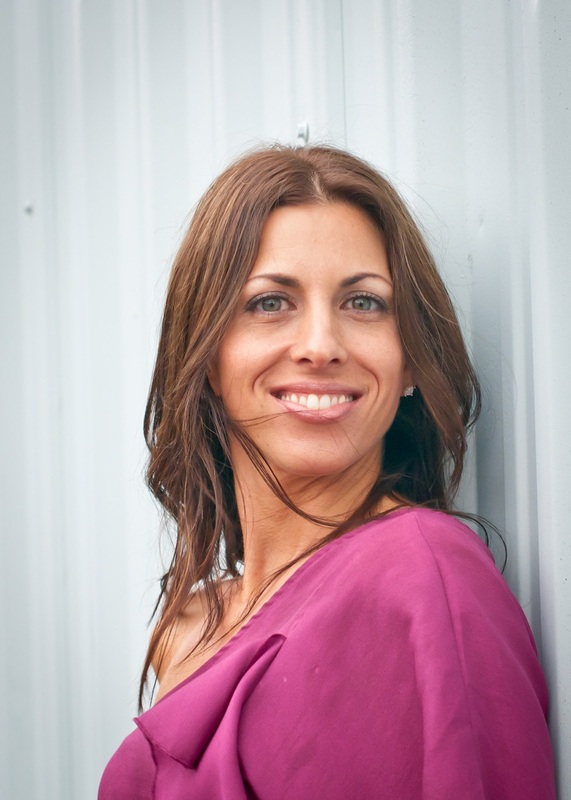 Today’s blog is from my friend and fellow coach, Jodie Rodenbaugh. As a certified personal trainer who lives and breathes wellness, it’s both frustrating and exciting to deal with the pain of an injured back. Frustrating for the obvious pain and helplessness, but exciting to have the opportunity to feel what numerous others go through when dealing with back injuries so I can empathize a little easier. For more than two months, I was at the mercy of my body—a victim of sorts. I’m used to working out hard and fast five days a week and consider myself to be pretty strong. I’m not the patient who sits all day and has no core strength and stability, but I am the patient who didn’t listen to her body when it was trying to tell her she had to pause and pay attention. The first eight weeks I went to a chiropractor and a massage therapist three times a week with no improvement. So I decided it was time to find someone else and by the miracles of the Universe, the instant I made that decision, a man showed up on Facebook and lo and behold he was a chiropractor! He got to the root cause in the first visit and by the second visit I was not only seeing hope, but also getting a glimpse of feeling myself again. The physical cause—my muscle imbalances were pushing my hips out of alignment until they couldn’t support one another. What a relief this was to me! I now have a cause and when we have a cause it’s easier to fix, right? Putting a Band-Aid on something will only take the pain away for a little while, but the pain will continue to seep out if we try to mask it in some way. My muscles were a mess; tight in some areas but overstretched and weak in others. If I didn’t pausing to figure out why I was feeling these warnings from my body and actually do something about them, the effect–pain–was still going to be the same. I’d been fooling myself when I thought the problem would go away if I didn’t acknowledge the warnings. I’m not really sure if I was afraid to see the pain, “Oh, no, this isn’t happening to me! I’m going to put blinders on,” or if I just felt put out enough to ignore it, “Ugh, I can’t believe this is happening to me. I am getting old and my body is breaking down. Poor me,” or if maybe it was a combination of the two. Either way, the body doesn’t like to be ignored, and mine said enough! My imbalances were bad enough and were ignored for long enough that when my back finally said, “No more!” I had a bulging disc in my lower back. Now, having said all that, there’s another side to the story that I feel is important. As a Core Energy Coach and someone who knows thoughts create feelings, which then produce outcomes, I have been well-versed in the concepts of “what we think we feel” and how it has a tendency to show up in our bodies. I believe my thoughts were contributing to my pain, but it’s not always easy to figure out what our thoughts are telling us because some thoughts are not in the conscious part of our minds. I had no idea what I was telling myself, so I sat with it for a while thinking of what was going on in my life and testing ideas out. “Well it could be… or maybe it’s…” But, nothing was standing out to me so I knew the thought had to be locked down deep in my subconscious possibly something I’ve been hiding from or avoiding. Wanting to explore my current back pain and the mind-body connection, I was drawn further into the research of Louis L. Hay. She is known as one of the founders of the self-help movement. Her first book, Heal Your Body, was published in 1976, long before it was okay to discuss the connection between the mind and body. Louise explains how our beliefs and ideas about ourselves are often the cause of our emotional problems and physical maladies, and how by using certain tools we can change our thinking and our lives for the better. Now, I know this may sound a little crazy, but it totally makes sense for me and I can’t wait to dig deeper to untie this knot that has been holding me back. (Literally!). And even crazier still, I’m kind of grateful for this injury. It has given me some valuable insight into my own mind-body connection and helped me relate to the pain of others. Pain is such a beautiful mess! Jodie Rodenbaugh holds a Masters in Education and spent 16 years dedicated to teaching children the love of learning and eventually expanded her practice to coaching teachers. Her decision to leave education, a Masters degree, and a full-time paying job in which she was comfortable enough not to ever worry about money came from the experiences she had after suddenly becoming a young, pregnant widow. She followed her heart and the many clues she was given from God and the Universe and took the biggest leap of faith in herself as she resigned from education to share her lessons and passion for life. She helps others untangle from their fears, overwhelms, and pains that are suffocating their hearts and controlling their thoughts so that they are free to live and love again. Learn more about Jodie and read her blog at jodierodenbaugh.com. This entry was posted in Guest Blog, MindBodySpirt, Reblog and tagged back injury, Beliefs, Body, Health, Healthy, healthy-living, Inspiration, Jodie Rodenbaugh, Law of Attraction, Louise Hay, mental-health, Mind Body Spirit, Positive Thoughts, Thoughts, wellness by Goss Coaching. Bookmark the permalink.